I had lot of work this week and to add some fun into my otherwise boring life (Sigh!! 😦 ), I painted my nails with this fun shade last Sunday. 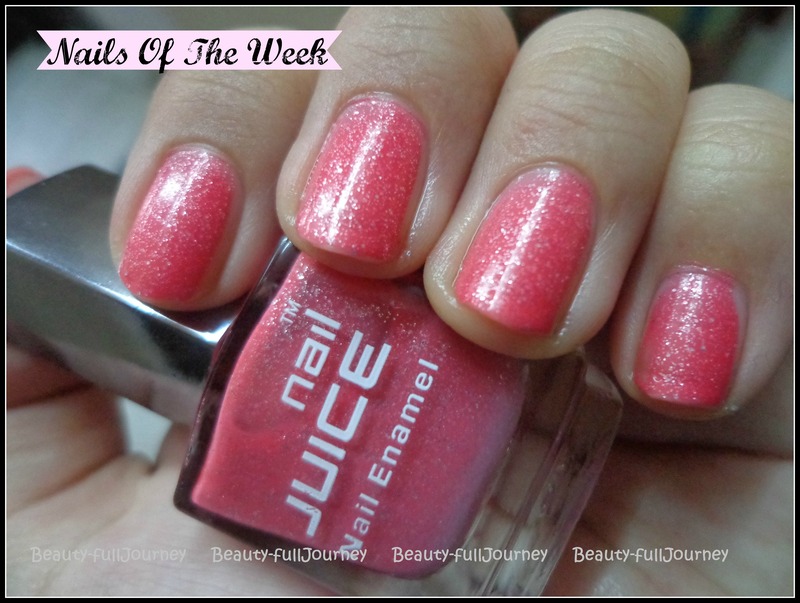 The nail paint is – Nail Juice #81 – Pink Glitter. I really like Nail Juice nail paints as they’re cheap (50 bucks) and you get quite a decent quantity and quality. Plus they have a lot of shades! I applied this nail paint on Sunday and took these pictures on Wednesday and as you can see there is almost no chipping. 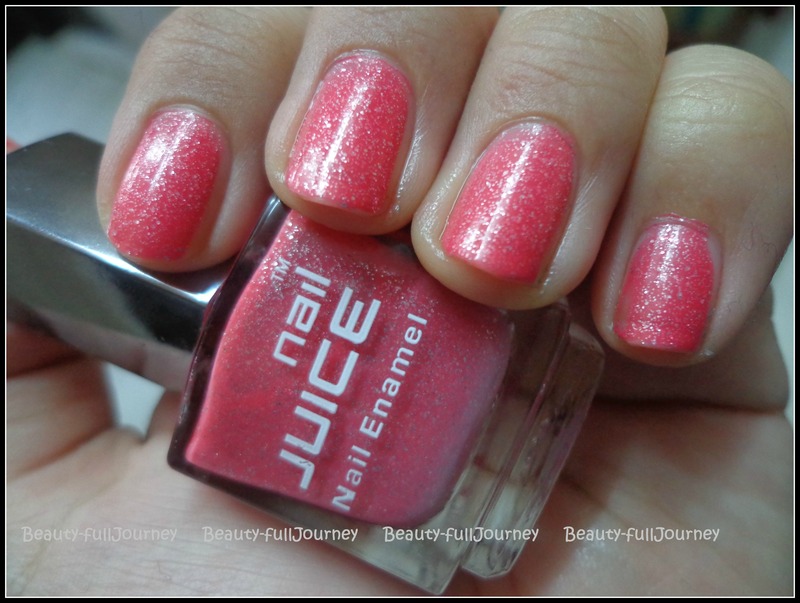 This shade is a gorgeous pink with slight coral undertones and lots of silver shimmer glitter. I love such bright pinks. I have used 3 coats to get this intensity. The glitter in it is a bit gritty but I think a top coat would solve that problem. I haven’t used any top coat here. This shade needs at least 2-3 coats to go opaque, I’ve used 3 coats here. The shine of these nail paints remains almost same till 4-5 days. They also chip by then at the edges. I really recommend these nail paints to all school and college students and all those who are on a tight budget or just those who don’t like spending too much on a nail paint(like me:P). < Previous QUICK REVIEW: Maybelline Ultra Liner – Brown. Next > REVIEW: Figs & Rouge Aloe and Mint Balm.